Are you thinking of wearing your curly hair straight, and would like to use a system that will allow you to transform your curls safely and temporarily? If so, our Thermal Wonder System™ is perfectly suited to cater to your styling needs. Thermal Wonder™ is an innovative thermal protection system brought to you by KeraCare®, for those with naturally curly hair. It’s free from straightening chemicals, and instead uses fresh botanical extracts and natural non-GMO moisturisers applied in a three-step application process. Our model was recently given a stunning makeover using Thermal Wonder™, and we’ll now talk you through the steps, as well as the Thermal Wonder® products used to achieve this look. We started by preparing the model’s hair for styling using Thermal Wonder™ Pre-Poo Conditioner, a penetrating treatment that contains fresh homemade botanical ingredients like Moringa, Marula and aloe vera and preps the hair for the thermal process. We left on the hair for 15 minutes, rinsed, and let the model feel the rejuvenating effects of the treatment. Next, our model’s hair was cleansed using Thermal Wonder™ Cream Cleansing Shampoo, which gently cleanses the hair of dirt, build-up and flakes without stripping it of its natural oils. This rich, creamy cleanser significantly increases the moisture level of dry, dehydrated strands due to the inclusion of hair nourishers such as moringa, sugar beet root and marula. With freshly cleansed hair, our model is now ready to have her hair thermal styled. 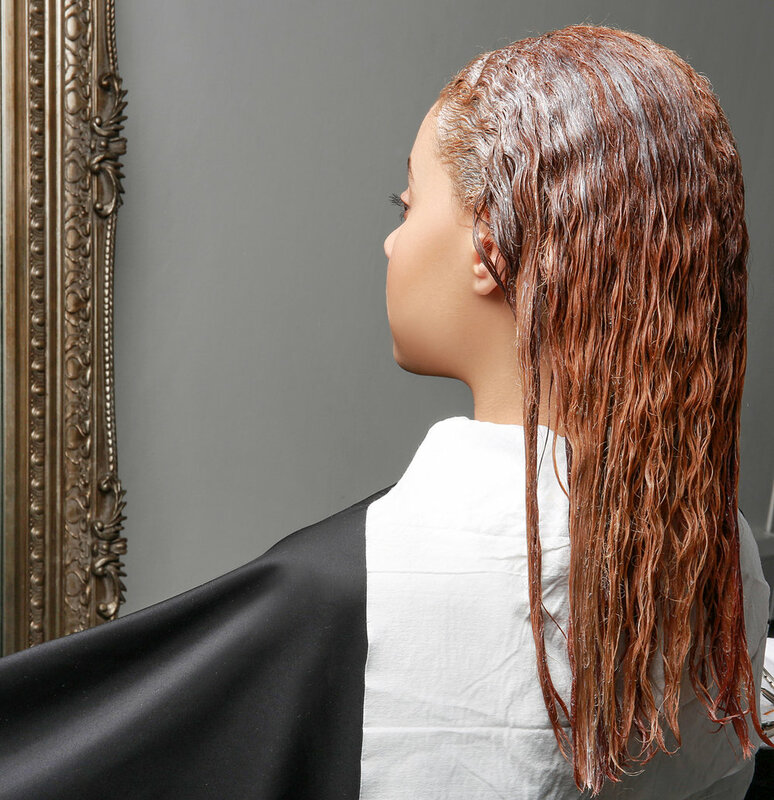 Our 6 in 1 Thermal Protector is a multi-functional product that acts as a leave-in-conditioner and heat protector. Product was applied to our model’s hair to offer significant protection, before hair was blow-dried. Next, straighteners were passed through our model’s hair to help achieve the smooth, soft, silky finish.